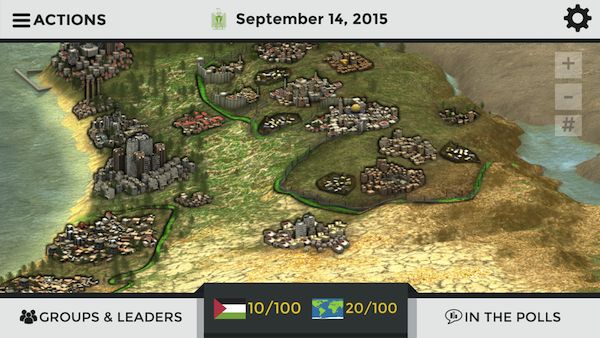 PeaceMaker is inspired by real events in the Israeli-Palestinian conflict. 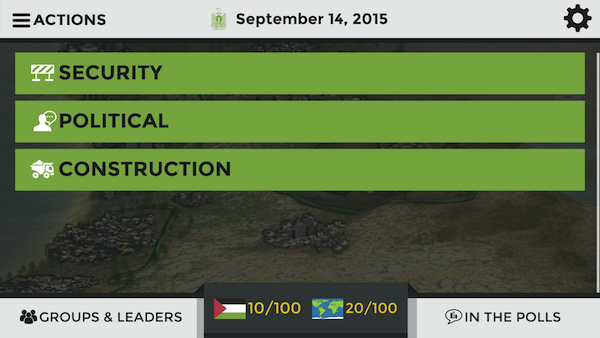 Be a leader and bring peace to the region before your term in office ends. 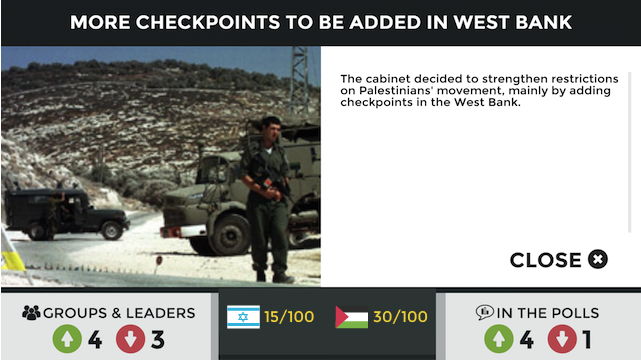 PeaceMaker is two games in one: play both the role of the Israeli Prime Minister or the Palestinian President. Depending on what you bring to the table, we have three difficulty levels to choose from including calm, tense and violent. 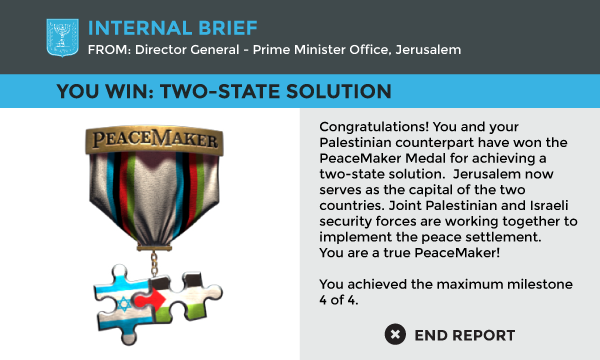 PeaceMaker has three languages: English, Arabic and Hebrew. We plan to release other translated versions as soon as possible. Though the game has no official age rating, ImpactGames recommends to consider the game as a PG-13 rating. 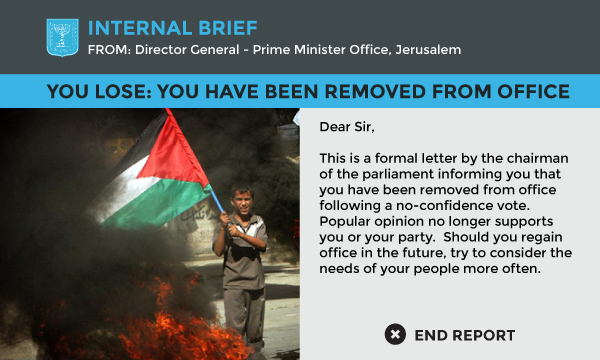 The game contains violent news video and graphic images. The other side wants peace too. You lack complete control of your own side. Small concrete steps, not grandiose plans. "Don't let the perfect be the enemy of the possible". For more information visit the game designer's blog post. Check out players' thoughts on the reviews page.